tkCNC Editor is a text editor, specially designed for CNC code (G-code) editing for CNC machines. 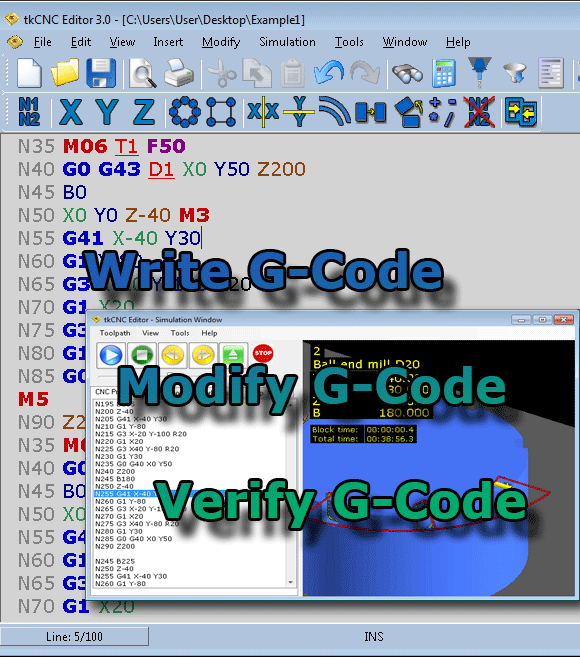 It is used by CNC programmers and operators for fast editing and verification of CNC code. Various operations with CNC code registers such as: mirroring, renumbering, translation, 2D and 3D rotation, mathematical operations (+,-,*,/), sorting etc. You can purchase tkCNC Editor easily with PayPal!